With graduation season fully underway and the Fourth of July just behind us, it seems like every weekend is a party! That is part of the fun of summer after all. And when you’re hosting and planning any party, it’s important to make sure that you have everything you need. This includes food and supplies. Maybe you have a large number of guests coming and need a party tent, or some extra tables and chairs, well we are pleased to say that Jacques Exclusive Catering has you covered. They are a great idea for any outdoor party. They provide ample shade and a great designated space for your party. Plus they can hold anywhere from 22 to 720 people! This ensures that your guests are comfortable and that they will have everything they need in one place. Dance floor, bar, food, it can all fit under a tent. 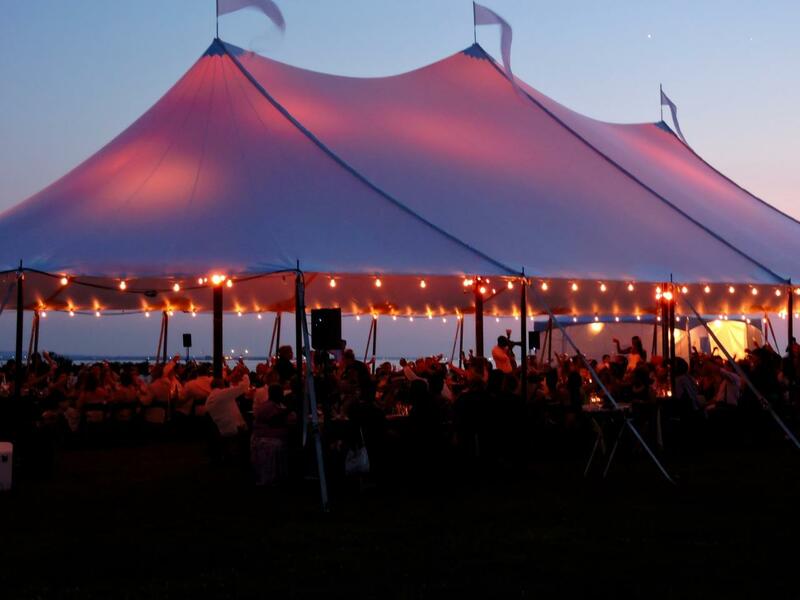 Party tents are also a great way to have an outdoor party regardless of the weather. If it looks like rain on the day of your, a tent will make sure that your party can still go off without a hitch. No party is complete without dancing! Especially if you plan to have music. Dance floors are not only a form of entertainment for your guests, but they are an excellent way to get your party moving! Also if you plan on having performers at your event, a dance floor provides a designated performance space. With dance floors coming in sizes that can accommodate from 20 to 240 people, we’ll make sure to get everyone up and dancing at your party! Which means everyone will remember the fantastic time they had at your event. They are another great rental option to have at a party. Our Premium Bar package comes with several wine selections, bears, as well as hard liquors and mixed drinks. Upgrades on all alcoholic beverages are available, as is soda. Our bar package also comes with a bartender, ready to make all of your mixed drinks and serve your guests throughout your party. Having a fully stocked bar prepared for you ensures that there is something for everyone, and a designated bartender makes it all the easier. Regardless of when your party is, or what your party is for, having all the tables, chairs, linens, and extras, like a bar and dance floor, that you need will make it the party of the century. Your guests will be talking about it for months and years to come. And all because you planned it with precision. So if you are thinking about hosting a large party and need rentals or help with your menu, contact Jacques Exclusive Catering today! We’ve got you covered.